Café Coffee Day – steaming or sputtering? In about 20 years, Café Coffee Day (CCD) has grown from one ‘cyber café’ in Bengaluru to the leading chain of cafés in the country by far. In its early years, it was a conservative, almost sleepy, business. The launch of Barista in the late 1990s and its rapid growth was the wake-up call for CCD — and wake up it did! CCD then expanded aggressively. It focussed on the young and more affluent customers. Affordability was a keystone in its strategy and it largely remains the most competitively priced among the national chains. Its outlets ranged widely in size — and while this caused inconsistency in the brand’s image — it left competitors far behind in terms of market coverage. However, the market hasn’t stayed the same over the years and CCD now has tough competition. CCD competes today with not only domestic cafés such as Barista or imports such as Costa and Starbucks, but also quick-service restaurants (QSRs) such as McDonald’s and Dunkin’ Donuts. In the last couple of years, in large cities, even the positioning of being a ‘hang-out place’ is threatened by a competitor as unlikely as the alcoholic beverage-focussed chain Beer Café. CCD is certainly way ahead of other cafés in outlet numbers and visibility in over 200 cities. It has an advantage over QSRs with the focus on beverage and meetings, rather than meals. Food in CCD is mostly pre-prepared rather than in-store (unlike McD’s and Dunkin’) resulting in lower capex and training costs, as well as greater control since it’s not depending on store staff to prepare everything. However, rapid expansion stretches product and service delivery and high attrition of front-end staff is a major operational stress point. Upmarket initiatives Lounge and Square, which could improve its average billing, are still a small part of its business. Delivery (begun in December 2015) and app-orders seem logical to capture busy consumers, and to sweat the assets invested in outlets. However, for now, I’m questioning the incremental value both for the consumer and the company’s ROI once all costs (including management time and effort) are accounted for. The delivery partner is another variable (and risk) in the customer’s experience of the brand. Increasing the density through kiosks and improving the quality of beverage dispensed could possibly do more for the brand across the board. The biggest advantage for CCD is that India is a nascent market for cafés. The café culture has not even scratched the surface in the smaller markets and in travel-related locations. The challenge for CCD is to act as an aggressive leader in newer locations, while becoming more sophisticated in its positioning in large cities. It certainly needs to allocate capex on both fronts but larger cities need more frequent refreshment of the menu and retraining of staff. 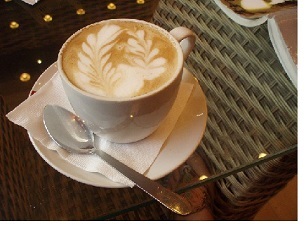 An anonymous Turkish poet wrote: “Not the coffee, nor the coffeehouse is the longing of the soul. A friend is what the soul longs for, coffee is just the excuse.” There are still many millions of friends in India for whom the coffee-house remains unexplored territory, whom CCD could bring together.